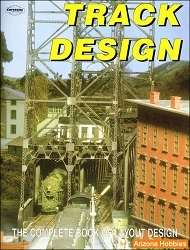 From the basics of track laying, wiring, and maintaining locomotives to the finer points of scenery building, painting, weathering, and detailing models, every aspect of modeling is presented in this up-to-date reference. Packed with simple tips and techniques and instructions for building a basic 4 x 8-foot HO scale layout with scenery. Kalmbach Publishing, softcover, 80 pages, 8.25 x 10.75 x .25; 150 Color photographs; 5 B&W photographs.